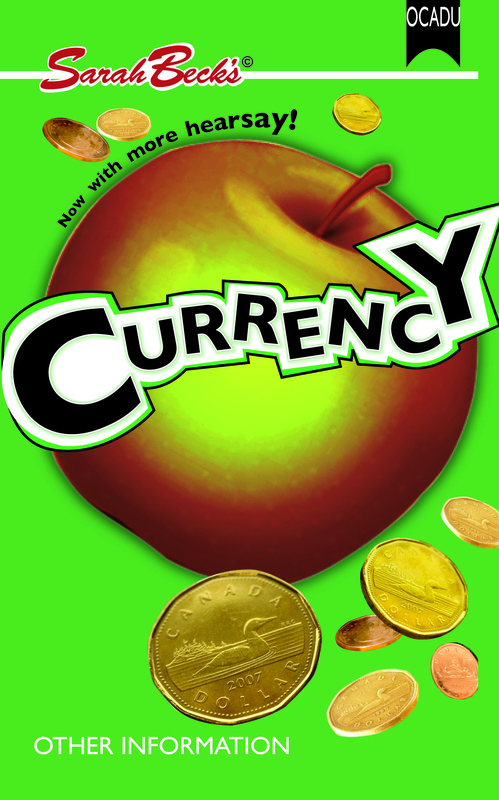 Currency, a novel with drawings by the artist, 2010. Created as a gift of thanks for the late Kurt Vonnegut, Currency is a humorous story about money, art, fakes and sea pirates. Enjoy Sarah’s self-reflexive take on social economic exchanges both within and without the art world.